The lost art of clothing repair can extend the life of your wardrobe. Besides, it’s fun. Quick, a seam in your shirt rips out. What do you do? Maybe you run a fast cost analysis, weighing how much you spent and how long the shirt’s lasted, to determine if a fix is worthwhile. Or maybe you just toss it out; one industry group estimates the average American throws away 81 pounds of clothes each year, nearly 95% of which can be reused or recycled. Over recent generations, clothing has gotten cheaper and has been seen as more disposable, and repairing clothing has become something of a lost art. But if you’re able to handle the small repairs that come up, you'll be able to extend the life of your outfits — and save money. In 2016, millennials spent an average of $1,753 on apparel and related services, according to the U.S. Bureau of Labor Statistics. That’s in alignment with what Generation X spent, about 2.7% of their income, slightly more than other generations. But both of these groups also spent less on the things needed to maintain their clothes than any other groups — less than 1% of their clothing budgets on sewing supplies and tailoring or repair services. The data suggest these groups may be paying more for clothes and less to take care of them. But e-commerce websites like Etsy, specializing in handmade products, and YouTube tutorials with hundreds of thousands of views, indicate at least some younger adults are, in fact, repairing, customizing and creating clothes. “Thank god for YouTube tutorials!” says Jayni Rasmussen, a 26-year-old advocacy and outreach manager living in Washington, D.C. Rasmussen learned to sew to complement her love of thrift store shopping, starting with small repairs and imperfect stitches to make a better fit of secondhand finds. Thrift shop purchases aren’t the only clothing types that could benefit from alterations — discount clothing bought at large chains and items purchased online are less likely to give you a good fit straight off the shelf. Sixty-seven percent of millennials and 56% of Generation Xers prefer to shop online over brick-and-mortar establishments, according to data from BigCommerce, an e-commerce platform. » MORE: How much are millennials really spending each year? “Many people don’t buy off the rack anymore; they order their clothes online and find out later the fit isn’t as perfect as they’d like,” says 31-year-old Eva Maria Barrios, a third-generation tailor and designer. Barrios, whose grandfather, uncles and mother were all in the clothing business, provides tailoring services herself but also teaches sewing to beginners. She’s seen an increased demand for tailoring services and sewing lessons, and she suspects online and thrift store shopping play a role. “For some, learning to sew themselves is about being resourceful, but also creative, creating art,” Barrios says. Knowing basic stitches can also extend the life of your clothes, helping you save on replacement costs. Needles and thread are quite inexpensive, and, according to Barrios, not too difficult to use. 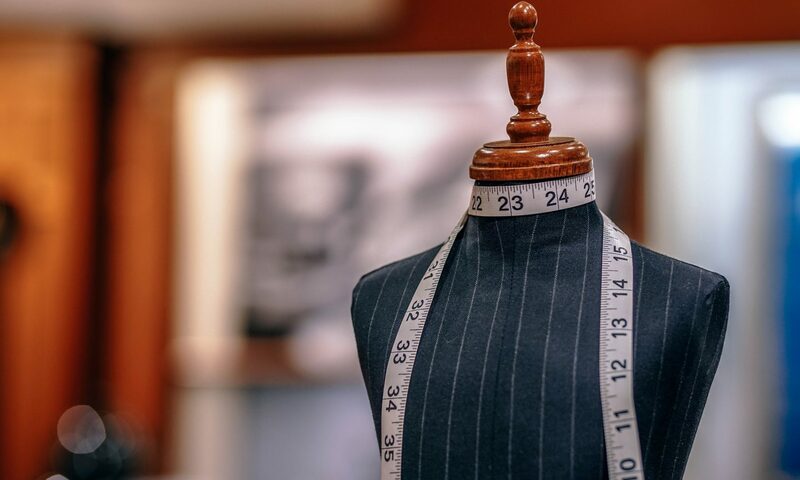 She uses a three-step process with her students: teaching them to measure the body, cut and prepare the clothing, and do a basic hem by hand or with a machine — a lesson she says can be taught in about 90 minutes. “Of course, there are various levels of expertise, but for the average person, learning how to do quick alterations can be relatively easy,” Barrios says. “For basic hems, I would practice on several pairs of cheap, thrifted pants and dresses before trusting myself on nicer items,” says Rasmussen, who relied wholly on online tutorials when it came time to refresh sewing lessons her grandmother gave her as a child. For pricier garments and more extensive alterations, consider using a professional. “When an item is tailored correctly, it’s going to look better on your body and more expensive,” Barrios says. As for repairs, replacing the zipper on your favorite winter jacket could be hundreds of dollars cheaper than buying new.